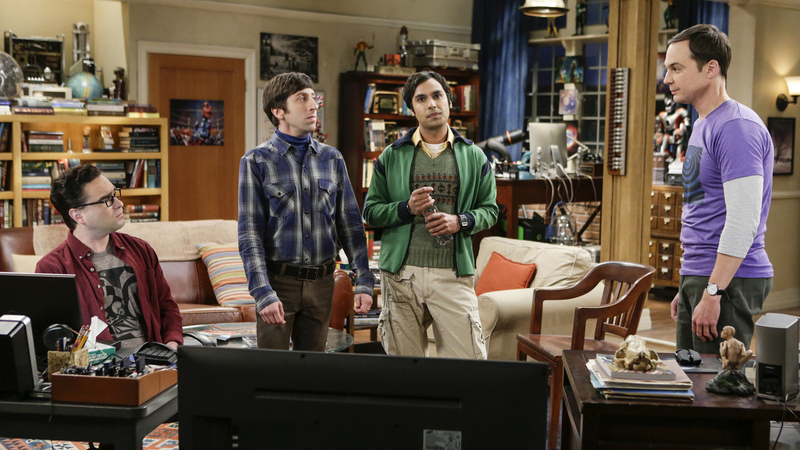 Leonard, Howard, Raj, and Sheldon discuss their current predicament. Colonel Williams (Dean Norris), an Air Force representative from the Department of Materiel Command, asks to meet with Howard, Leonard, and Sheldon about their quantum gyroscope. Meanwhile, Bernadette is caught off guard when her coworkers find out about her pregnancy in the latest episode of The Big Bang Theory called "The Military Miniaturization."